Earlier this month, the respected NGO Transparency International released its annual survey of public sector corruption around the world. The Perceptions of Corruption Index is the most influential effort to assess the relative cleanness of governance throughout the world. First, here are a few highlights from the 2012 survey, which assigns a score of 0 to 100 to each state, with 0 representing a highly corrupt public sector and 100 representing an extremely clean public sector. Anti-corruption poster in Port Moresby, Papua New Guinea. Photo credit: Raymond June (via Flickr, Creative Commons license). The cleanest clusters and states are: Scandinavia, the Netherlands, Switzerland, Australia and New Zealand, and Canada. Others scoring fairly well are Chile, Uruguay, Japan, the United States, and a few other European countries. When examined by world region, Eastern Europe and Central Asia – including Russia, Ukraine and the “-stans” – fare the worst for public corruption. Ninety-five percent of these countries score below 50 points out of 100. (For comparison, 70 percent of the world’s states also score below 50.) Sub-Saharan Africa has the next worst scores overall, with 90 percent of the region’s states scoring below 50 points. The Middle East and North Africa ranks as the third most corrupt region in the world. And the Americas and Asia Pacific are slightly below the world mark, with 66 percent and 68 percent, respectively, of countries scoring below 50 points. 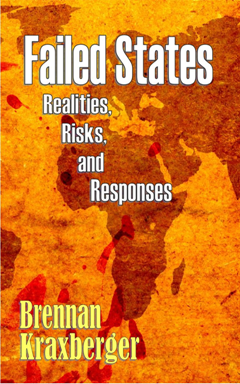 Figures for the world’s key failed states are fairly predictable. The ten lowest ranking countries – meaning those where bribery, rent-seeking behavior, and corruption are entrenched – include the following failed states: Afghanistan, Haiti, Myanmar (Burma), North Korea, Somalia, and Sudan. Other critically weak and failed states score very poorly on the survey, including: Chad, the DRC, Burundi, Zimbabwe, Equatorial Guinea, and Pakistan. But how do we know that these scores are valid? Transparency International freely acknowledges that they are assessing perceptions of corruption, and not absolute levels of public sector impropriety. Just a cursory look at the summary index map reveals an old pattern, with Western countries judged as less corrupt and non-Western states labeled more corrupt. Perhaps the old process of Orientalism is at play in this influential global assessment. A more careful look at the numbers, though, reveals some subtle differences that matter. In Africa, Botswana has a score that is identical to Spain’s and a bit better than Portugal’s. Ghana’s mediocre score is meaningfully better than those of Italy and Greece. Chile and Uruguay have similar scores to that for the United States. What are your thoughts about this survey? Do you give much credibility to these scores and rankings?